Volvo will begin producing electric motors on all its cars from 2019, becoming the first major automaker to forgo traditional engines that rely exclusively on internal combustion. HELSINKI (AP) — Volvo will begin producing electric motors on all its cars from 2019, becoming the first major automaker to forgo traditional engines that rely exclusively on internal combustion. The Swedish company, which has been making cars since 1927 and in recent decades became famous for its station wagons and safety features, said Wednesday that the decision was prompted by the wishes of customers, describing it as "one of the most significant moves by any car maker." CEO Hakan Samuelsson said the shift to electric motors would "strengthen our brand image, which is a lot about protecting what is important for you (customers)." Volvo Cars said it aims to reach its target of selling 1 million electrified cars by 2025, with a range of models, including fully electric vehicles and hybrid cars. "This announcement marks the end of the solely combustion engine-powered car," Samuelsson said. "People increasingly demand electrified cars and we want to respond to our customers' current and future needs." Volvo said its long range models could travel 500 kilometers (310 miles) on a single charge using current technology, but it is looking for suppliers for new and better batteries. "We are looking at more suppliers in the market today and that will be a key part of being competitive going forward — to always stick with the most successful and innovative supplier" at the time, said Henrik Green, senior vice president in research and development. Samuelsson, who acknowledged that the company had been skeptical about electrification only two years ago, said things had changed. "Things have moved faster; customer demand is increasing. This is an attractive car people want to have," he said. He also saw Volvo's announcement as "an invitation to anybody that's interested in investing in battery manufacturing ... and of course also to anybody interested in investing in charging infrastructure." "I think that's good, they can now count on Volvo as customers," Samuelsson said. "We need new players, we need more competition." Volvo, which since 2010 has been owned by Chinese firm Geely, will launch five fully electric cars between 2019 and 2021. Three of them will be Volvo models and two will be electrified cars from Polestar, Volvo Cars' performance car arm. It also plans to supplement them with a range of gasoline and diesel plug-in hybrid and mild hybrid, or 48-volt, options on all models, which the company said would be one of the "broadest electrified car offerings of any car maker." 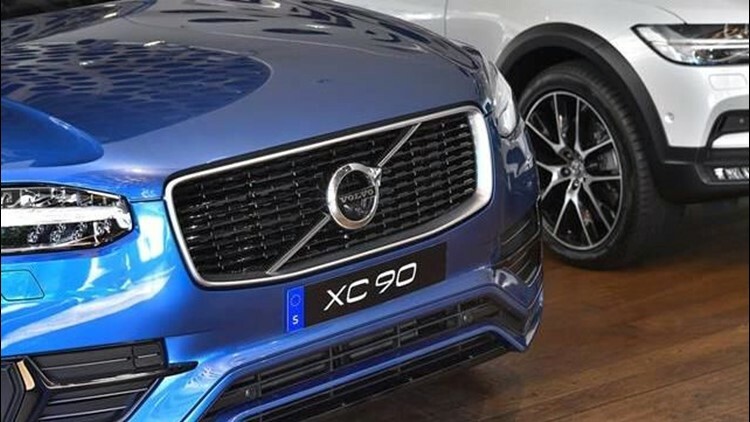 Volvo Cars has said it is committed to help improve the environment and make cities cleaner by reducing carbon emissions, aiming to have climate neutral manufacturing operations by 2025. Last year, the company sold 534,332 cars in 100 countries, up more than 6 percent from 2015.